On the average cathedral tour of Europe, tourists quietly take in the immense stained glass, the high vaulted ceilings and somber atmosphere. 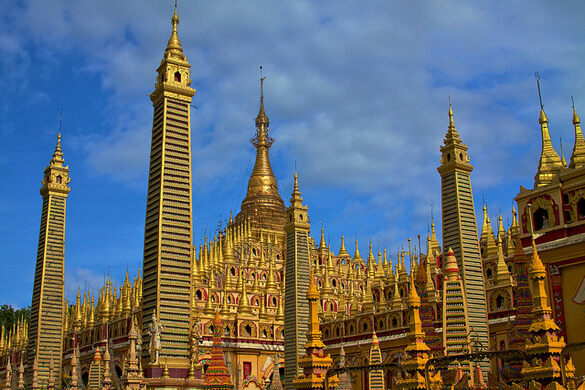 The average pagoda tour on the other hand is the complete opposite, and in many ways the most quintessential difference between East and West. 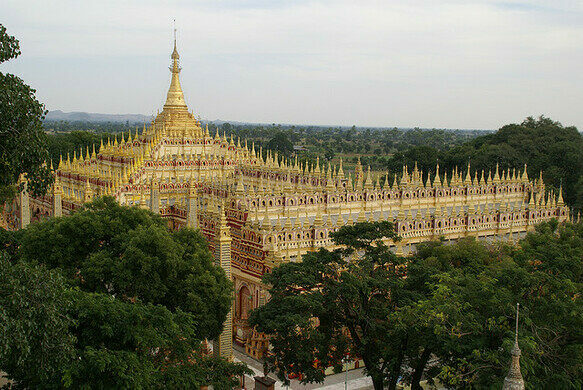 Thanboddhay Pagoda is a massive Buddhist complex in Monywa, Myanmar. 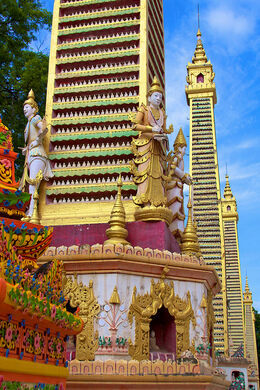 It is a gilded world, brightly screaming out praise for Buddha through colorful celebration. 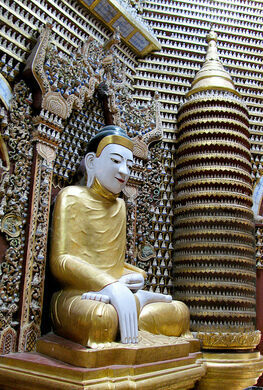 Throughout the area, each pillar and tower of the Pagoda is carefully and completely covered with images of Buddha. 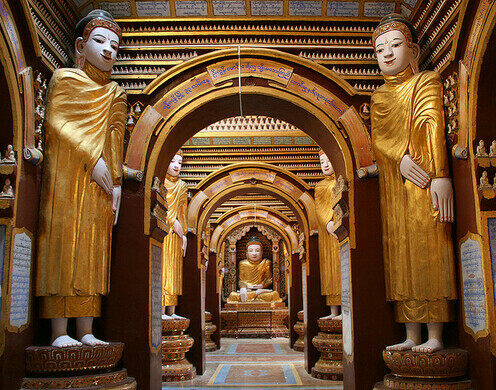 From statues inside the pagoda, to miniatures climbing the sides of the building itself, there are 500,000 depictions of Buddha in total. Although it was originally built in the early 14th century, it was reconstructed in 1939, and is incredibly preserved in its golden form. 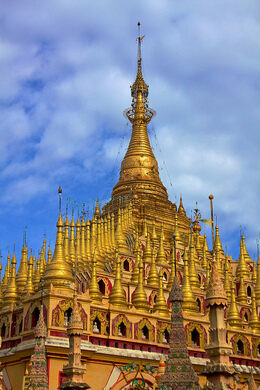 Unlike many other temples in Myanmar, the entrance is not guarded by lions. Instead, two imposing white elephants stand out against their shimmering backdrop. 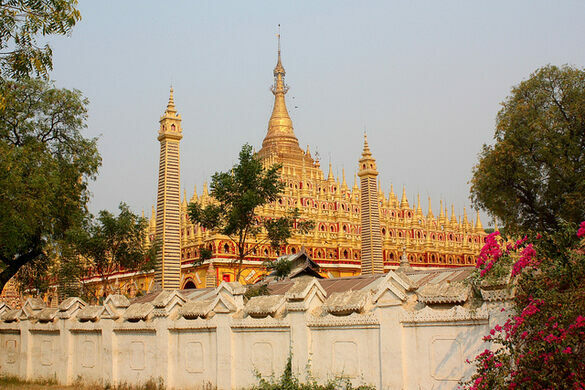 Since its reconstruction, the pagoda has been one of the largest tourist attractions in Myanmar, drawing awe-struck tourists and pious religious visitors alike.